Auckland life is hectic. In between work life, social life and home life, where is one to find a sanctuary to recover and relax? Or perhaps you don’t want to recover, but simply want a little help to look like you have. Not to fear, Auckland’s newest luxury spa is bringing in the big guns (and potions) to answer all your beauty, wellness and relaxation prayers. 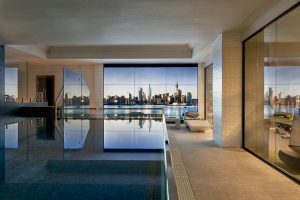 SO/ SPA is the indulgent spa offering from Auckland’s latest and most lavish boutique hotel, SO/ Auckland in downtown Auckland. The menu is vast and unique, bringing innovative offerings like Himalayan detox therapy, Tibetan sound healing, chakra balancing and peeling Chlorella masks. Knowing that the spa experience is not a one-size-fits-all model, SO/ SPA has put together packages for every type of spa-goer and this menu isn’t yet available anywhere else in the world. Whether it’s been a big night and you want to pop in for a quick morning-after eye treatment to get you through, or you want to invest hours in your relaxation – there’s this, that and everything in between. There’s an Urban Detox Facial for the hectic city-dweller, a Renight Antioxidant Recovery Facial for the party goers, Body Strategist Therapies™ for those wanting to shape up, Immune Boosting sessions if you’re feeling low and so much more. Massages, facials, wraps, peels, scrubs – the list is endless. Treatments provide a delight for the senses, with specifically designed playlists, aromatherapy oils and a serene environment. Whether you’re there for 15 minutes or three hours, the SO/ SPA team will go above and beyond to make every moment count. Continuing in the hotel’s inspiration of Auckland’s unique volcanic history, each room is named after a local crater. A Volcanic Stone Experience offers a deep massage using heated basalt stones in order to balance the mind and spirit. SO/ WELL’s therapists are not only experts in the menu provided but offer collective expertise between them including naturopathy, yoga and Chinese medicine. And there is no excuse not to have a little lunchtime treatment with ‘Off beat’ special prices on offer Monday – Friday between 10am and 4pm. SO/ SPA will be the first New Zealand stockist of Italian skincare brand, Skin Regimen. From the highly regarded Davines Group and developed by neuroscientists, this skincare range is specifically made with the modern lifestyle in mind. The range uses modern plant chemistry formulas to counteract the effects of stress, pollution and lifestyle ageing. The products have been clinically proven to improve the mind-skin stress response.